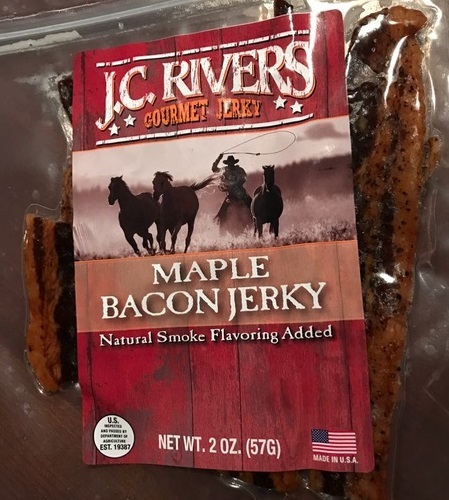 JC Rivers Maple Bacon jerky is made from thick slices of Bacon. No added preservatives, MSG or nitrites; USDA/FDA approved. Ingredients: Bacon, Teriyaki sauce, wine, sugar, water, vinegar, salt, spices, onion powder, succinic acid, garlic powder, brown sugar, honey, maple syrup, pineapple juice, cinnamon, liquid smoke, red chili pepper, black pepper, ginger, ground cloves. 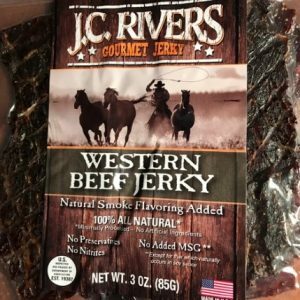 JC Rivers Habanero Bacon Jerky is a gourmet jerky, handmade in small batches every day, this jerky is always fresh! A classic bacon flavor that has been kicked up a bit with the addition of habanero peppers. 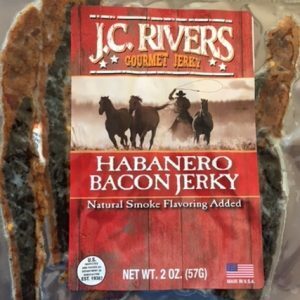 Flavor – smoky bacon with a prominent habanero heat.